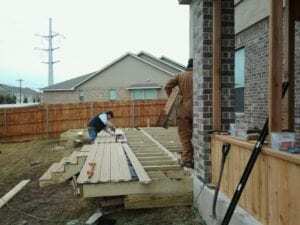 Balcony Deck Contractor Austin TX at Accent Deck Design has extensive experience in designing and building balconies and decks. 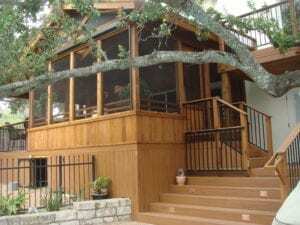 Building a balcony deck for your home is an excellent way to add an extra living space where you can see the countryside, sit and relax with a morning cup of coffee and enjoy the outside air. 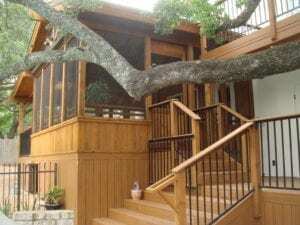 Our balcony deck contractor Austin TX company has experience building many of these type of balconies for individuals just like you who live in the Central Texas area. We always strive to work with our clients so that you receive a beautiful deck or balcony that is suited for your home and lifestyle. No two decks are ever the same as they're specifically created to match the aesthetics of your property and functionality that you require. When you use composite decking for balconies, it looks great and weathers well under the sun. We always use quality wood decking for both balcony and deck projects, and we take pride in our skilled workmanship. 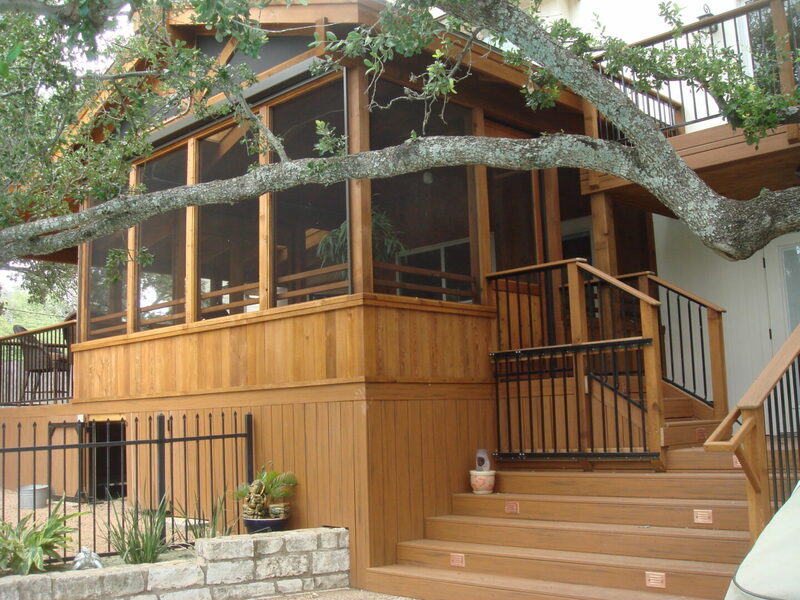 As an Austin balcony deck contractor, we want to make sure that you are happy with your home's new addition. We're committed to providing you with quality service, an open dialogue of communication during the design and creation stage and a build that will not only make your house look great but add functionality and style. 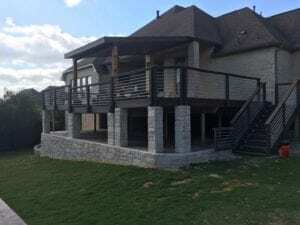 Our Accent Deck Design composite balcony decking Austin TX team would love to work with you and help you design and build the perfect addition to your home. 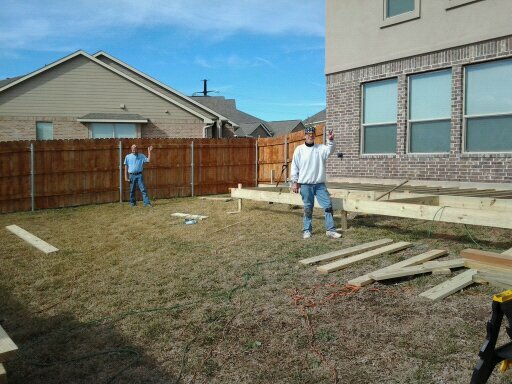 Austin is just a part of the Texas area that we service. 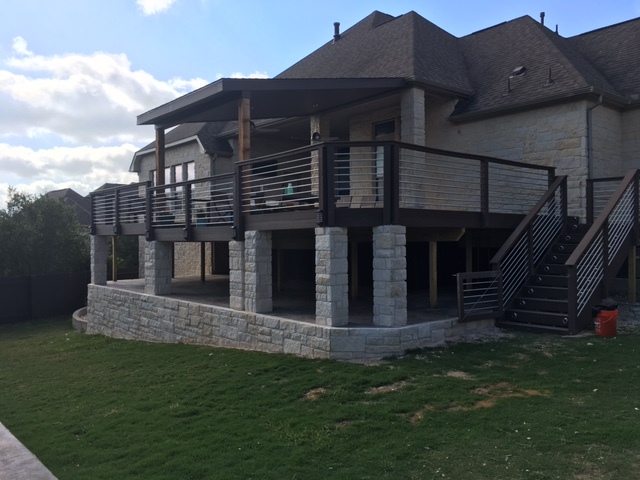 Our composite deck designs Austin TX company is happy to design and build balconies and decks for clients in the surrounding areas. We've had the opportunity to create many uniquely designed home additions for many happy clients in the past and look forward to sharing our skills and expertise with you as well. 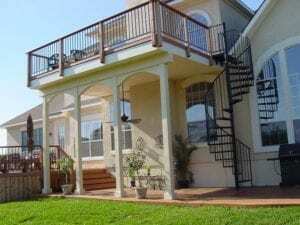 Contact us today so that we can help you design a beautiful deck or balcony for your home. 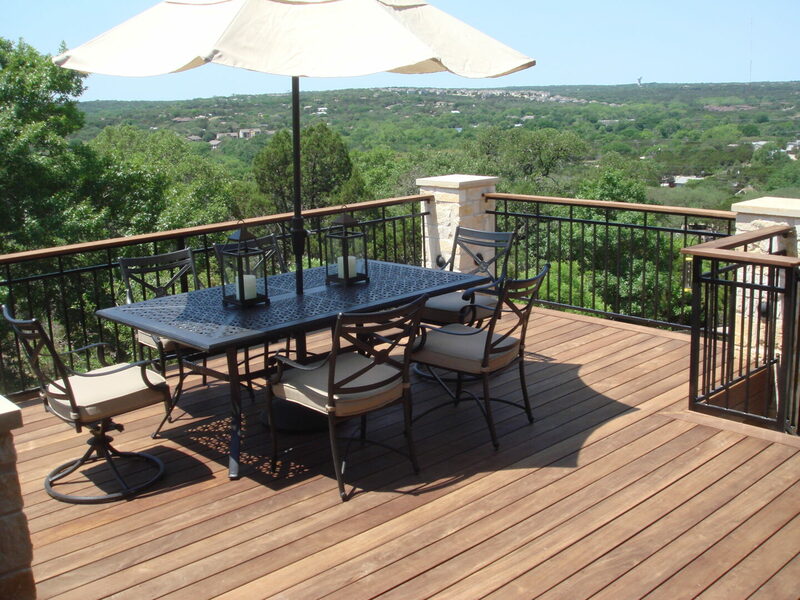 Beautiful, highly dependable decks can look spectacular, but often come with a hefty price tag or inflated costs. 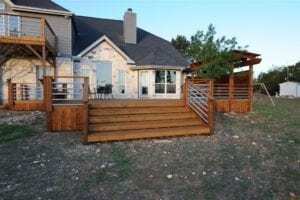 With Accent Deck Design in Austin you can choose from many deck types and get a magnificent addition to your home or commercial property at a highly affordable price. 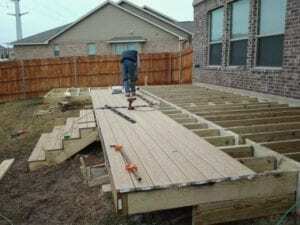 You will have your very own custom built deck, tailored to your needs--without having to choose from a small selection of options or preconfigured deck designs. 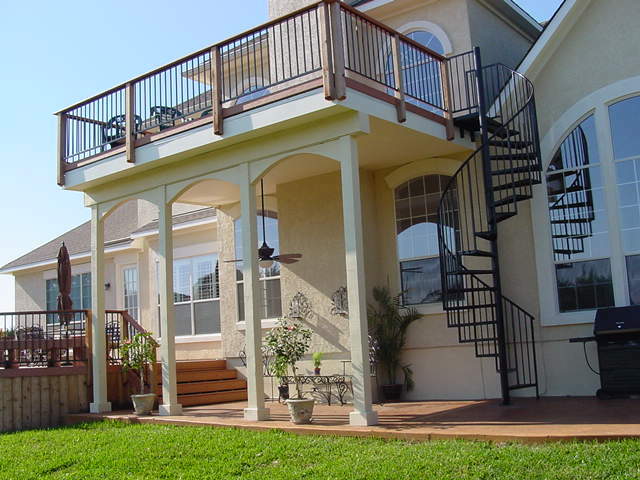 You help design your deck your way with your style and obtain that satisfaction you desire. 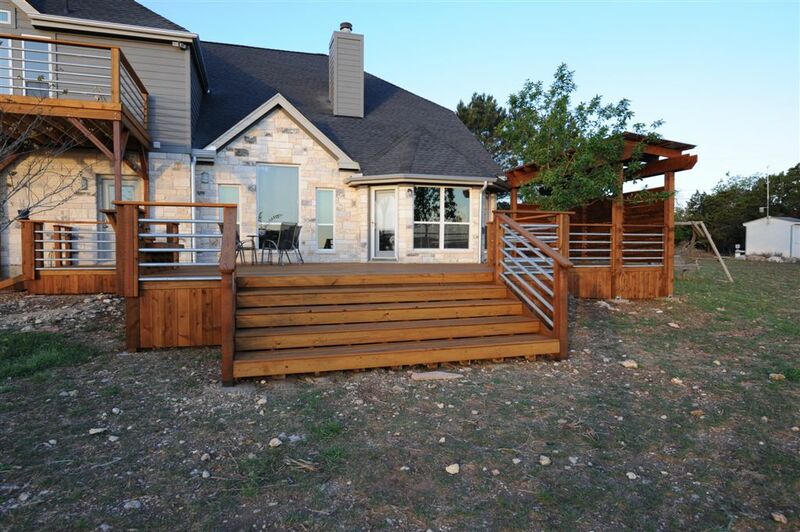 With a composite deck from Accent Deck Design in Austin, you don’t have to worry about dependability nor constant maintenance. You can relax and enjoy a strong, sturdy, and reliable deck for years to come. 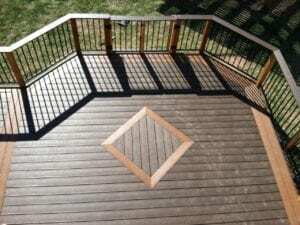 Choose from many different styles and colors to suit your needs and relax knowing that your deck was built properly and reliably through over 20 years of experience and knowledge. Given the materials that an Accent Deck Design composite deck is made of, you benefit from highly weather resistant properties. 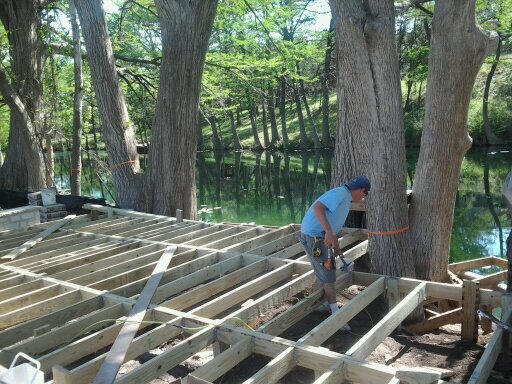 This means your deck’s boards won’t rot, split, or warp over time, no matter what type of Austin weather conditions they’re forced to face. 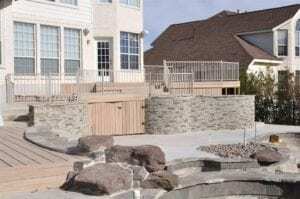 While your neighbors are working hard at maintaining their deck, you will be sitting back and enjoying yours without dealing with constant maintenance. 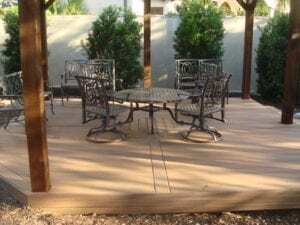 Composite decks are also resistant to stains from food, mold, harsh sun, or even heavy use so your deck will look like new even after you’ve been using it for many years. There may be an initial minimal fade phase in the beginning, but it doesn’t affect the look. It only lightens a tiny bit that is barely noticeable and will then stay that way for years to come with little to no maintenance! 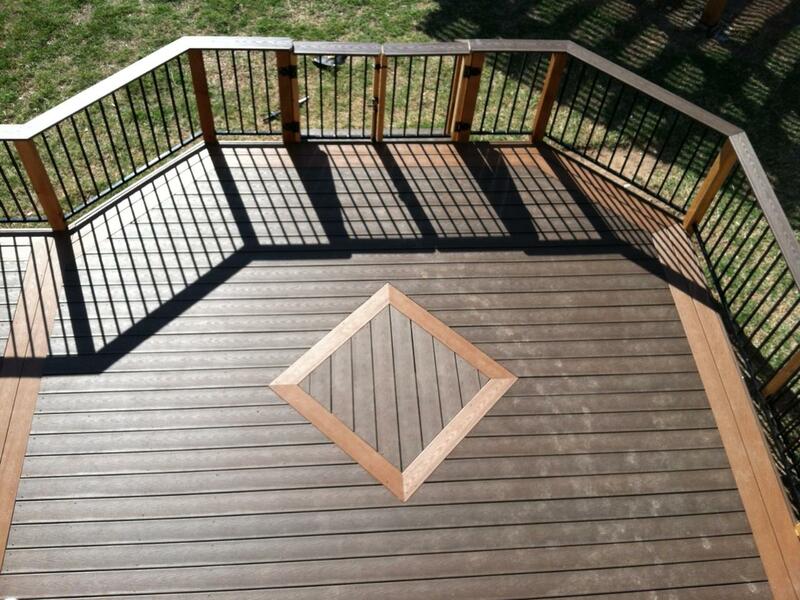 A composite deck doesn’t require any sealing, staining, or painting – or any resealing, restaining, or repainting! Instead, what you see on the first day is what you’ll see for the life of the deck - no maintenance required. It is recommended to periodically wash your composite deck thoroughly to prevent mold and mildew growth; but, that’s good advice for any type of deck. Other than that, when you have Accent Deck Design in Austin install a composite deck for you, the only thing you’ve really got to do is enjoy it! Because your composite deck is made from recycled plastics and wood fibers, you are choosing an environmentally friendly option. These fibers would have been thrown away previously. Instead, these wood and plastic fibers are kept out of the landfill and given new life as a long lasting, dependable, and beautiful deck! Composite decks have opened up a whole new world for you to enjoy with a comforting outdoor space that requires little to no maintenance! Contact Accent Deck Design today to see how easily building your composite deck can be. Help increase your Austin property’s value, improve its curb appeal, and give you less to maintain! If you are looking at deck types and options, but do not like having to pick from only a few preconfigured designs, choosing Accent Deck Design will allow you to get what you truly desire! You will be satisfied with the deck you receive, mainly because you essentially designed it! 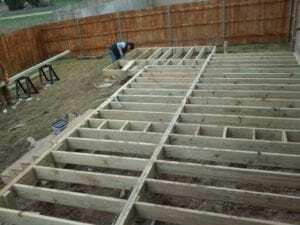 When it comes to Accent Deck Design, you receive a deck built of quality materials, not subpar or cheap bulk lumber…or even scratched or mismatched color-toned composite boards, for example. You will enjoy having confidence in the services provided with the quality materials used, as well as the superior results you receive. 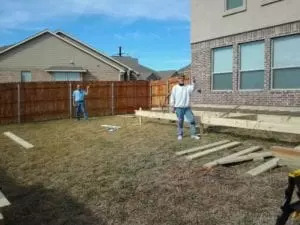 Not only will you enjoy the beauty you have added to your Austin property, but will also feel good knowing that you have increased its value. Above all, you have an outdoor living space that was designed by you through the help of Accent Deck Design, which ensures that you are 100% satisfied with the results! 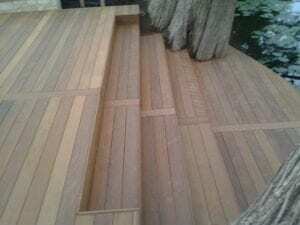 A wood deck brings character and beauty to any exterior landscape, while also providing a classic, natural look. When you work with Accent Deck Design, we’ll help you explore all the possibilities so you can build the wood deck you’ve always wanted for your Austin, Texas home or business. Wood can be one of the most affordable materials available for decking and, as a result, is a great choice for those who desire spending less. 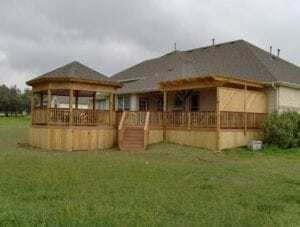 Not only will you enjoy having that beautiful deck in a highly affordable way, but also will not sacrifice style or beauty to get what you desire. 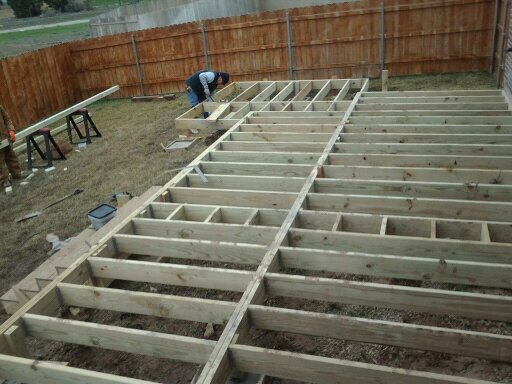 When it comes to Accent Deck Design, you get that beautiful wood deck you desire…with the affordability you desire too! 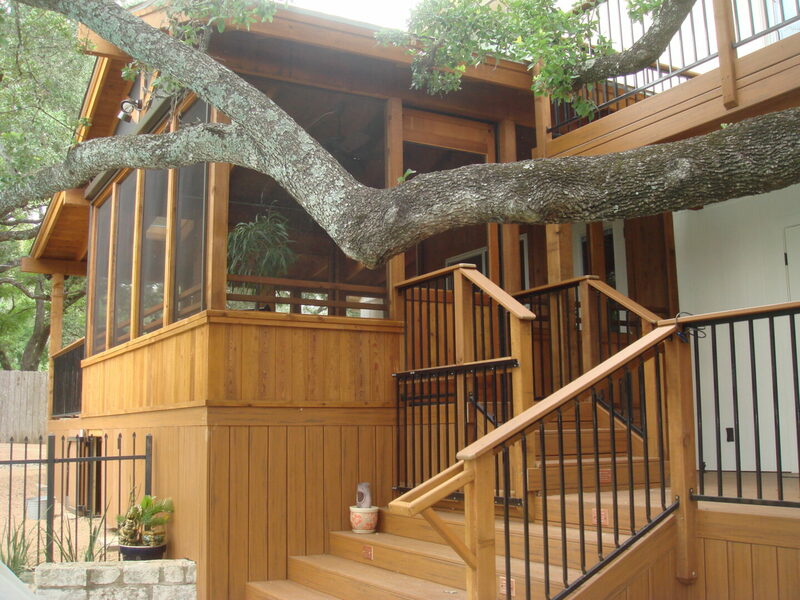 The best wood decks are built from hardwoods that are known to be rot resistant, as well as pest resistant. Using lumber like this, as opposed to softer woods, will enable you to create a gorgeous wood deck that is built to last a very long time. You will retain that beauty for years to come! When you choose Accent Deck Design to build your wood deck, you will receive lumber that’s FSC (Forest Stewardship Council) certified. For you, this means that the FSC has reviewed the forest management practices associated with the growing and harvesting of the wood being sold and has deemed it to be in accordance with their pre-determined rules and regulations of environmentally sustainable forest management practices. 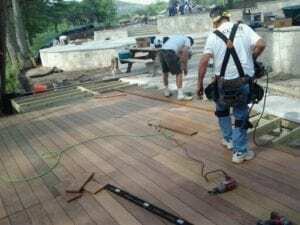 Having a new wood deck installed at your home or business can raise the overall value of your property, while also creating a beautiful place of relaxation and comfort. 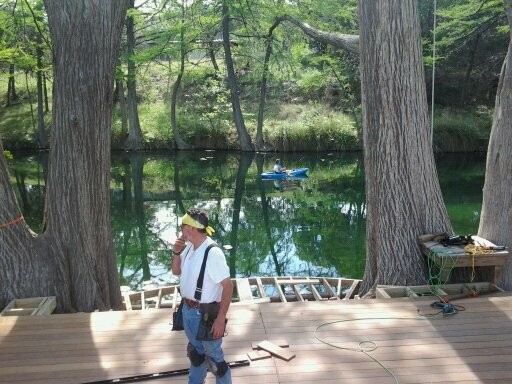 Enjoy the satisfaction of a beautiful wood deck that will last a long time and that preserves its natural beauty too! 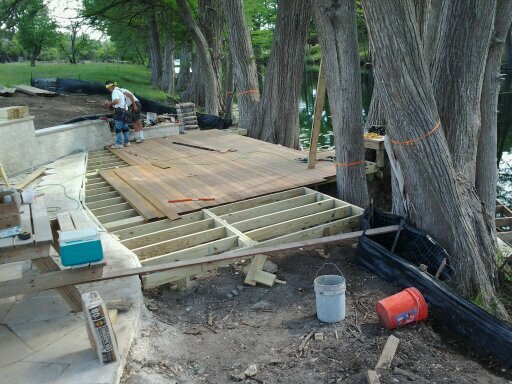 Contact Accent Deck Design in Austin today to see just how affordable a wood deck can be and you’ll be relaxing in your beautiful escape in no time!